If it's been your lifelong dream to attend Hogwarts and become a wizard, no amount of magic is going to make that happen. (Sorry!) But South Wales bed and breakfast Llety Cynin is offering the next best thing: A wizard's tea for all of its guests. 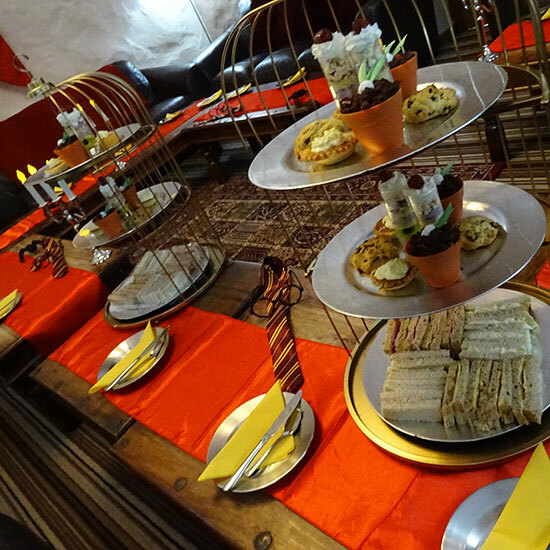 In celebration of the original Harry Potter book's 20th anniversary, the Carmarthenshire-based inn will host twice-weekly afternoon teas featuring all of the familiar sights and snacks of your favorite fictional school. Menu items include chocolate frogs, Butterbeer, treacle tarts, pumpkin pasties and nearly everything you salivated over during Great Hall meals or long train rides. The space has also been transformed into the Gryffindor common room, complete with the signature Fat Lady portrait and oversized lion banners. Reservations are required to secure a table and most of the weekends in 2017 are – unsurprisingly – sold out. Perhaps a fight for leftover tickets should be settled on the Quidditch field.